The Special Olympics International Board of Directors announced earlier this month that Special Olympics has awarded its flagship event and world’s largest humanitarian and sporting event of 2019, the Special Olympics World Games, to Abu Dhabi, United Arab Emirates (UAE). The Special Olympics International Board of Directors unanimously voted to award the World Games to Abu Dhabi based on a comprehensive bid proposal, a site visit by a Board Committee, and the country’s vision to create inclusion for people with intellectual disabilities throughout the UAE, their region and the world. The Games will be held in March of 2019. Read the full release on SOI’s press page. The Peale Project connected seven Special Olympics Southern California athlete photographers with four professional photographer mentors. Together, they documented the World Games in Los Angeles. Their work has been turned into a photo book so that everyone can experience the Games through the eyes of athletes. Special Olympics World Games Recap Airs TONIGHT! Be sure to tune into ESPN tonight to see the recap of the 2015 Special Olympics World Games on ESPN at 7pm CST! The one-hour recap will feature highlights of the competitions from the Games and video from Closing Ceremonies. Check out more video and pictures from World Games and ESPN here. Let us know where you are watching the show! Can’t get enough of World Games? Check out this great video with highlights from the past week! Over the course of the LA2015 Special Olympics World Games, Adore Creative travelled to all venues and captured every sport, country, dozens of awards ceremonies and many LA2015 special events using high speed, super slow motion cameras. The result is a five-minute film that portrays the beautiful spirit and emotional experience that Special Olympics athletes go through in their journeys and competitions. 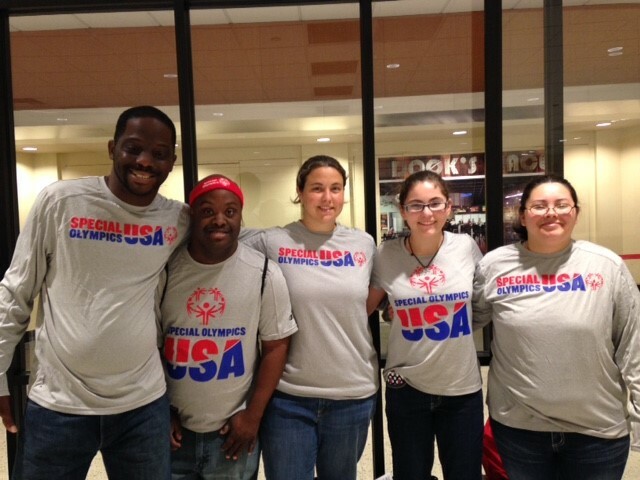 This past week, Special Olympics Louisiana sent a delegation of 6 to compete as part of Special Olympics USA in the 2015 Special Olympics World Games in Los Angeles, California. Our Louisiana athletes worked hard to bring home 4 Gold medals, 1 Silver medal, 1 Bronze medal, 4 Fourth Place Ribbons, 2 Fifth Place Ribbons, 1 Seventh Place Ribbon, and 1 Eighth Place Ribbon. Thank you for all of your hard work and for making us proud! There were nearly 7,000 athletes and 3,000 coaches, 30,000 volunteers and delegates from all over the world who to attended and competed in the 2015 Special Olympics World Summer Games. There were also about 500,000 family, friends, and spectators who came out to support the athletes. For more information about the 2015 Special Olympics World Summer Games, or to donate visit our website at www.laso.org or contact us at 1-800-345-6644. You can check out all of the pictures by clicking here.